The use of the Yarrow medicinal plant can be traced back to the time of Achilles, the hero in Homer's Iliad. 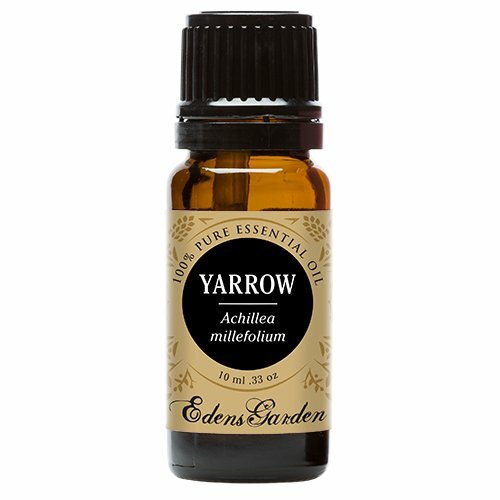 It had been a belief that Yarrow was used to treat Achilles' injured heal, hence its botanical name "Achillea Millefolium." Blue Yarrow essential oil was named so because of its deep blue color, which is produced when the substance chamazulene is discharged during the steam distillation to extract the oil. It features green, sweet, and lingering scent. 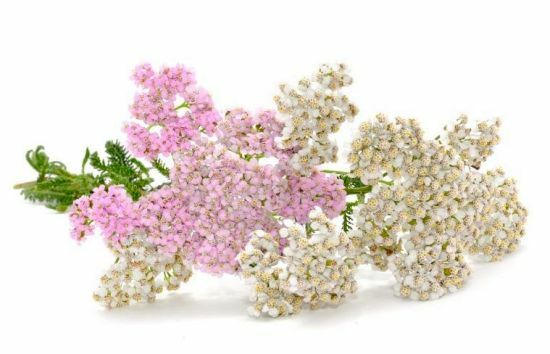 Learn more about Yarrow Essential Oil or find a great deal on the best selling Yarrow Essential Oil from the items below! Yarrow chamazulene (blue) essential oil 5ml - 100% pure botanical name: achillea millefolium plant part: herbs extraction method: steam description: yarrow is a perennial herb with a simple stem that can grow up to one meter (3 feet) in height. It has fern-like feathery leaves and bears numerous pink-white, dense flower heads. Yarrow is also known as milfoil. This is a reference to its feathery appearance. colour: greenish blue to blue consistency: light note: top strength of aroma: soft blends well with: yarrow essential oil blends well with angelica, cedarwood, pine, myrrh, frankincense, and chamomile. aromatic scent: yarrow is viewed as being sweet, herbaceous, with spicy tones. 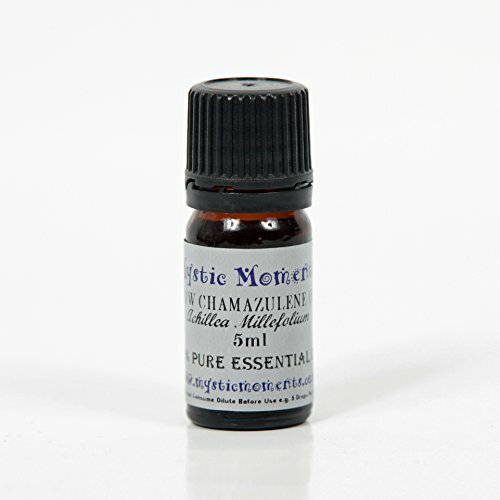 Aromatherapists often compare the scent to chamomile and wormwood essential oils. history: yarrow has a long history as a medicinal herb, which according to legend goes back to achilles, who used it to heal wounds inflicted by the sword during the wars with troy. Silky Scents EO93-1OZ-30ML Yarrow Blue Wild Crafted Essential Oil 100 Percent Pure Therapeutic Grade - 30 ml. Romatherapy Properties: (Uses). This Essential Oil is a beautiful deep blue oil. Anti-inflammatory anti-spasmodic cicatrizant expectorant hypertensive. Flower tea is an emmenagogue (brings on menstruation). Indicated for problems of prostate or menstrual problems and neuralgia. Useful for gynecological problems. May be useful for the relief of irregular menstrual cycles and painful periods. The oil may be applied in a massage compress or foot bath. Yarrow is used for the treatment of wounds and open sores because of its astringent antiseptic and anti-inflammatory properties. Because of the content of chamazulene Yarrow oil is used in skin care for acne eczema and inflammation and to minimize varicose veins and reduce scars. Blends well with: Bergamot Chamomile Roman Wild Crafted Juniper Berry and Pine Long Leaf. 100% Pure Essential Oil Capacity - 30 ml. 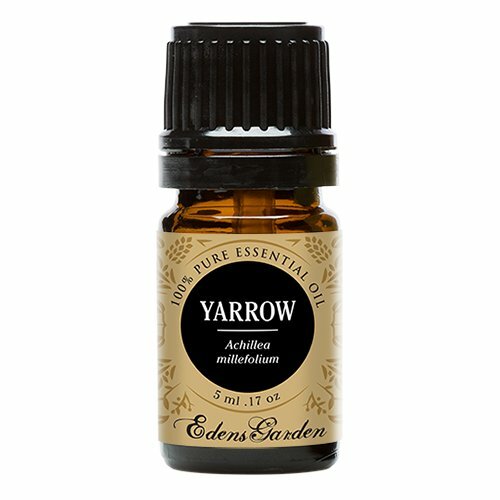 100% Pure Therapeutic Grade Yarrow Essential Oil Comes in a 60ml amber glass essential oil bottle. European Dropper Cap included. What sets Healing Solutions Essential Oils apart is superior cultivation of ingredients that are the best in the world. Combined with superior distillation and bottling care process, We GUARANTEE that our oils are aromatically superior and more effective than any other oils - if you disagree we will refund your money! The Leading Aromatherapy Associations (Alliance of International Aromatherapists (AIA), International Aromatherapy and Aromatic Medicine Association, Aromatherapy Trade Council, and others) all state that essential oils should not be taken internally (regardless of purity or organic origin) unless under the guidance of a health care practitioner trained at an appropriate level . As such, all of our oils carry a label warning that the product is NOT FOR INTERNAL USE. 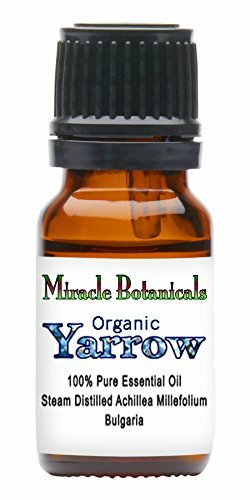 Essential Oil Yarrow Organic by Simplers Botanicals 2 ml Liquid Essential Oil Yarrow Organic 2 ml Liquid Simplers provides only the highest quality oils available on the market. We purchase USDA organic certified essential oils from distillers around the world. By obtaining our oils directly from distilleries worldwide we ensure that they are genuine species-specific and ethically harvested. Simplers Botanical offers over 100 pure essential oils that we hope you enjoy discovering fun and practical applications for. Soft full cool blue aroma with camphorous notes. Specific for inflamed skin acne and arthritis. Astringent anti-rheumatic anti-inflammatory vulnerary. Warnings Keep out of reach of children. As with all dietary supplements consult your healthcare professional before use. See product label for more information. 100% Pure Therapeutic Grade Yarrow Essential Oil Comes in a 30ml amber glass essential oil bottle. European Dropper Cap included. What sets Healing Solutions Essential Oils apart is superior cultivation of ingredients that are the best in the world. Combined with superior distillation and bottling care process, We GUARANTEE that our oils are aromatically superior and more effective than any other oils - if you disagree we will refund your money! The Leading Aromatherapy Associations (Alliance of International Aromatherapists (AIA), International Aromatherapy and Aromatic Medicine Association, Aromatherapy Trade Council, and others) all state that essential oils should not be taken internally (regardless of purity or organic origin) unless under the guidance of a health care practitioner trained at an appropriate level . As such, all of our oils carry a label warning that the product is NOT FOR INTERNAL USE. 100% Pure Therapeutic Grade Yarrow 10ml Essential Oil Botanical Name: Achillea millefolium Comes in 10ml amber glass essential oil bottle. 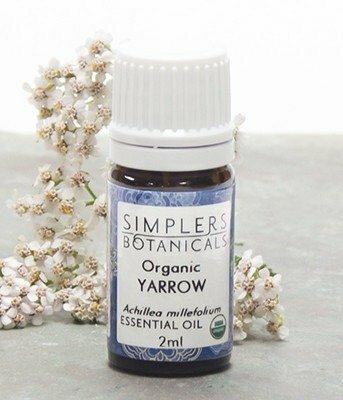 European Dropper Cap included Yarrow Essential Oil has a sharp woody aroma with a herbal undertone. What sets Healing Solutions Essential Oils apart is superior cultivation of ingredients that are the best in the world. Combined with superior distillation and bottling care process, We GUARANTEE that our oils are aromatically superior and more effective than any other oils - if you disagree we will refund your money! The Leading Aromatherapy Associations (Alliance of International Aromatherapists (AIA), International Aromatherapy and Aromatic Medicine Association, Aromatherapy Trade Council, and others) all state that essential oils should not be taken internally (regardless of purity or organic origin) unless under the guidance of a health care practitioner trained at an appropriate level . As such, all of our oils carry a label warning that the product is NOT FOR INTERNAL USE. Silky Scents EO93-5ML Yarrow Blue Wild Crafted Essential Oil 100 Percent Pure Therapeutic Grade - 5 ml. Romatherapy Properties: (Uses). This Essential Oil is a beautiful deep blue oil. Anti-inflammatory anti-spasmodic cicatrizant expectorant hypertensive. Flower tea is an emmenagogue (brings on menstruation). Indicated for problems of prostate or menstrual problems and neuralgia. Useful for gynecological problems. May be useful for the relief of irregular menstrual cycles and painful periods. The oil may be applied in a massage compress or foot bath. Yarrow is used for the treatment of wounds and open sores because of its astringent antiseptic and anti-inflammatory properties. Because of the content of chamazulene Yarrow oil is used in skin care for acne eczema and inflammation and to minimize varicose veins and reduce scars. Blends well with: Bergamot Chamomile Roman Wild Crafted Juniper Berry and Pine Long Leaf. 100% Pure Essential Oil Capacity - 5 ml. Silky Scents EO93-15ML Yarrow Blue Wild Crafted Essential Oil 100 Percent Pure Therapeutic Grade - 15 ml. Romatherapy Properties: (Uses). This Essential Oil is a beautiful deep blue oil. Anti-inflammatory anti-spasmodic cicatrizant expectorant hypertensive. Flower tea is an emmenagogue (brings on menstruation). Indicated for problems of prostate or menstrual problems and neuralgia. Useful for gynecological problems. May be useful for the relief of irregular menstrual cycles and painful periods. The oil may be applied in a massage compress or foot bath. Yarrow is used for the treatment of wounds and open sores because of its astringent antiseptic and anti-inflammatory properties. 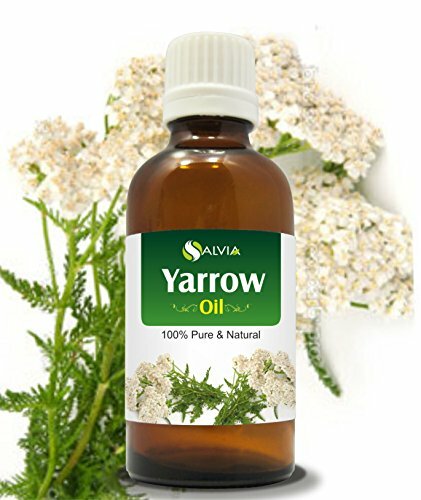 Because of the content of chamazulene Yarrow oil is used in skin care for acne eczema and inflammation and to minimize varicose veins and reduce scars. Blends well with: Bergamot Chamomile Roman Wild Crafted Juniper Berry and Pine Long Leaf. 100% Pure Essential Oil Capacity - 15 ml. We prepare our Yarrow Extract from the flowering tops of Achillea millefolium plants which are Certified Organically Grown and/or Sustainably Wildcrafted in their native habitat in the Siskiyou & Cascade Mountains of Oregon. To assure optimal extraction of Yarrow's bioactive compounds, the uppermost flowering tops are hand-harvested at their peak of potency, are carefully shade-dried to retain their full color & aroma, and are then thoroughly extracted. Seek expert medical advice before taking during pregnancy. YARROW OILIngredient Type - MANUFACTURES GRADEIngredient Origin - USAAromatic Scent: Our Yarrow oil is a reviving citrus blend of grapefruit and orange notes with hints of white floral. A truly interesting blend! Description: Our manufactures grade fragrance oils are not diluted to produce a supiorier scent for the vast line of products you can make with them. This oil has a flash point above 175 degrees. 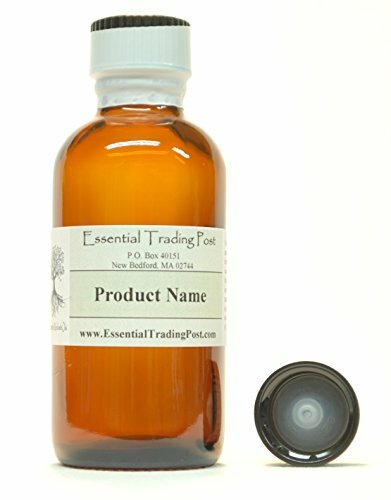 Product Scenting - Create your own scented products by adding oils to un-scented base products like; Hair Shampoo & Conditioners Base, Hand Soap Base, Body Lotion Base, Room Spray Base, Moisturizing Body Gel Base, Reed Diffuser Base, Melt & Pour or Cold Press Soap makingAll of our oils are labeled (NOT FOR INTERNAL USE). Our oil line has multi-uses from simply scenting your home to making a vast line of products. Very little of our oil is needed to create a long and lasting essence.Cautions: Dilute before use; for external use only. May cause skin irritation in some individuals; a skin test is recommended prior to use. Contact with eyes should be avoided.IMPORTANT: All Essential Trading Post products are for external use only unless otherwise indicated. This information is not intended to diagnose, treat, cure, or prevent any disease, and it should not be used by anyone who is pregnant or under the care of a medical practitioner.